ROTANA, one of the leading hotel management companies in the region with hotels across the Middle East, Africa, Eastern Europe, and Turkey, has announced a pilot distribution agreement with Airbnb, whereby all Arjaan-branded rooms in Dubai will be made available on the global vacation rental platform. If things work out, we may soon see more Rotana products from other cities, also listed on Airbnb in the near future. Under his leadership, Rotana has reported positive results across the three key performance metrics in the first two months of 2019. During the January-February period, Rotana hotels in Abu Dhabi delivered stronger growth as compared to properties in other emirates and recorded a 3.5 per cent growth in occupancy, 2.3 per cent increase in ADR and 5.9 per cent rise in RevPAR, while its properties in Beirut and Riyadh posted 17 per cent and 15 per cent rise in occupancy and 29 per cent and 48 per cent surge in RevPAR respectively, as compared to the same period in 2018. Similarly, ADR and RevPAR soared 24.8 per cent and 9.8 per cent in the company’s resort in Sharm El Sheikh, while Manama saw a 5 per cent rise in occupancy rates. Room nights coming from Saudi Arabia, which is one of the key feeder markets, have increased by 15 per cent in the first two months of this year. In 2018, the UAE, the UK, Saudi Arabia, Germany, and India topped the list of leading feeder markets. Putting a spotlight on challenges facing the hospitality sector, Hutchinson mentioned that GCC region is expected to see an additional 58,000 keys entering the market in 2019, with destinations such as Dubai, Makkah, and Riyadh accounting for the highest increases in supply. These new stocks will intensify competition leaving further pressure on room rates. As a result, maintaining profit margins will be a key challenge for hoteliers this year. Operators will continue to explore new markets for expansion and they will place a significant emphasis on the development of green and mid-scale offerings, continues the acting CEO. Profits management is becoming increasingly important for hotel operators, and as a result, they are expected to continue adopting tighter cost control measures through clustering and outsourcing part of their services. Germany, the company’s second largest feeder market after the UK, increased its contribution to Rotana’s revenues by 4 per cent year-on-year in 2018, it was reported in ITB Berlin 2019. Notably, Saadiyat Rotana Resort & Villas, Khalidiya Palace Rayhaan by Rotana, and Beach Rotana in Abu Dhabi and The Cove Rotana Resort, Ras Al Khaimah recorded more than 30 per cent occupancy from German travellers in the past year as the number of visitors from the European country to the UAE increased by 14.7 per cent in 2018. Between this year and 2020, Rotana will open nine new properties to bring its strong inventory of operational keys to 21,135. The first to open this summer will be the 256-key Johari Rotana in the Tanzanian capital of Dar Es Salaam. A stone’s throw from the ferry that connects mainland Tanzania with Zanzibar, the property is poised to be a great fit both for the business and leisure segments. Hutchinson visualises great growth plans for the brand in Africa, citing that key African cities haven’t had fresh product in the market for nearly two decades in some cases. 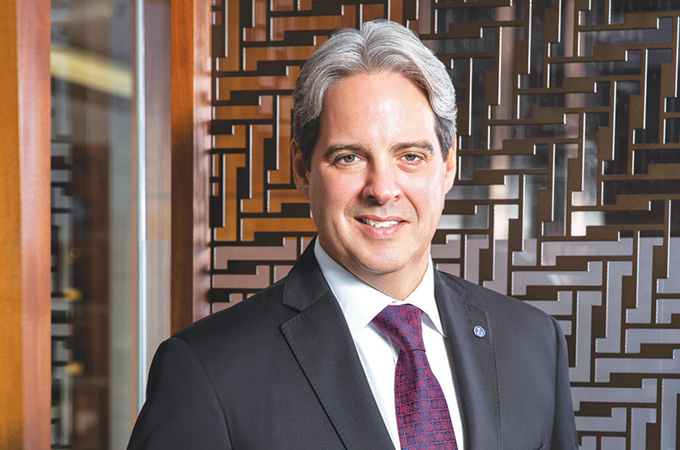 In the next 15 years, there may be a Rotana-branded product in most of the capital cities of the continent, says the acting CEO. Other properties opening in Q2 2019 include Johari Rotana, Dar Es Salaam (256 keys), Bosmal Arjaan, Sarajevo (130 keys), and Dana Rayhaan, Dammam (285 keys). Hotels set to be launched in Q4 2019 include Imam Reza Rotana, Mashhad (272 keys), Al Jaddaf Rotana, Dubai (338 keys) and Slemani Rotana, Iraq (240 keys). In Q2 2020, Rotana will open Centro Amman, Amman (197 keys) and Cayan Cantara Arjaan (329 keys) and Cayan Cantara Residences (489 keys) in Dubai.